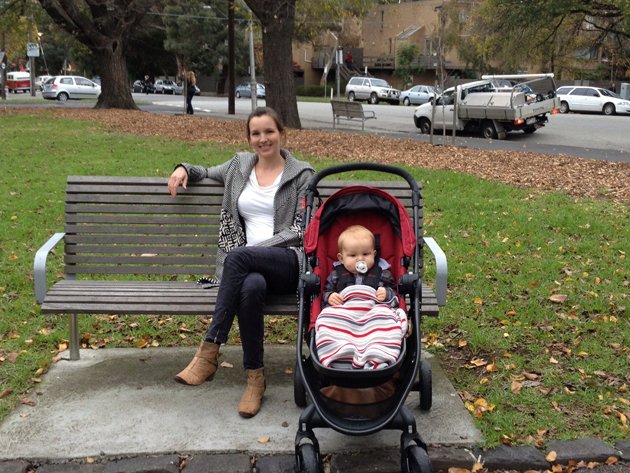 Hi, I’m Niobe, mum of Sebastian, reviewing the Baby Jogger City Versa for prams.com.au. To prepare for this review I thought I’d make a list of my top 5 things I need from a pram, but this very quickly became a top 10. Then a top 16! 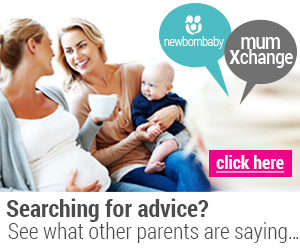 Parents demand a lot from prams. Basically it needs to be a stylish, all terrain, hand bag slash shopping cart that’s easy to push, impervious to weather, can pack down to nothing & lull our babies to sleep. Oh – and all this with just one hand! It’s stylish. The Baby Jogger City Versa is a great looking pram that comes in a range of colours with heaps of accessories to customise to your personal style. Baby Jogger City Versa is all terrain & easy to push. The all wheel suspension & large wheels make parks, roads and footpaths a breeze. The dual swivel front wheels are perfect for one handed steering & negotiating tables at cafes or the narrow aisles of your favourite clothes shop. The generous back of pram pocket & large under seat storage of the Baby Jogger City Versa is accessible even when the seat is reclined, tick off the hand bag slash shopping trolley requirement. There are several features on the Baby Jogger City Versa to assist with lulling babies to sleep including a very large sun canopy, a forward or rear facing seat with lower leg support that has 4 recline positions in either direction, padded straps and extras such as sun & rain covers to name a few. The Baby Jogger City Versa really does fold down to almost nothing too – it is so compact. The seat folds flat in half, which the frame does too & the quick release wheels easily pop off. I could fit the folded Baby Jogger City Versa into the space behind my passenger seat, under the baby car seat. Hopefully though, you wouldn’t need to do this every time you used it so you could make use of the one handed quick fold technology. You actually can fold down this pram while holding your baby. Unfolding with one hand takes a little more practice but it’s very simple once you know how. So the answer is yes. The Baby Jogger City Versa does tick all the things I had on my list. But it also gives me things I didn’t know I needed. Like the silent motion of the multi-position sun canopy and the silent magnets on the peep holes that helps ensure baby keeps sleeping. The Baby Jogger City Versa mounting brackets are suitable for 3 popular car capsules and are also used for a belly bar, child tray or other accessories to clip into. The adjustable handle makes it very comfortable to push no matter your height. And the hand brake is fantastic, very easy to use & so much better than a foot brake. Now, I feel like I haven’t had a negative thing to say about the Baby Jogger City Versa, and I really couldn’t find anything to note as a con. The only negative thing I could say about this pram is that being quite tall & long striding I found that I sometimes clipped the rear bar of the pram with my foot while I was pushing it. I think this is something you’d adjust to once you’d been using the pram for a while. It certainly wouldn’t stop me buying Baby Jogger City Versa. 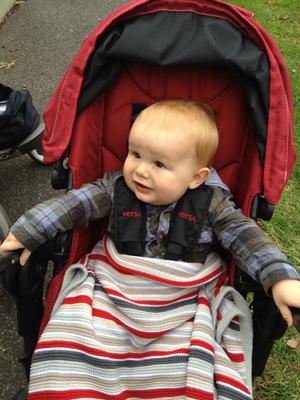 So, as I said, the Baby Jogger City Versa is not a good pram – it’s a great pram! Do I want one? Yes. Yes I do! I love the idea that the child can sit either way specially in sunny weather.